Let us come to you. The easiest and most convenient way to ensure that you keep your service history up to date and on top of your car repairs is to have everything you need done at home, the office or wherever else you happen to be. 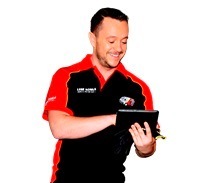 Our mobile mechanics are attending Revesby, Revesby, Bankstown and Hurstville. We are everywhere and everywhen you need us to be. 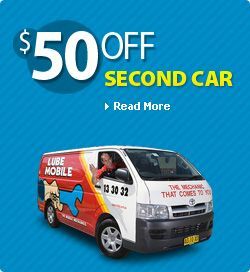 Lubemobile is Australia’s #1 fleet of mechanics servicing and repairing vehicles all over the country with over 322 vehicles attended to in your local area alone over the last 3 months. Regular vehicle services and jobs around your area have included Log book servicing. Our specialists have what they need to complete a full service and repair at your chosen destination including tyre replacement and specialty tyre related repairs, centre bearing replacement and cleaning the carburettor. My mechanic has been excellent in every aspect. He is extremely polite keeps me informed about the work and is willing to go the extra mile. I could not recommend. Him highly enough. Daniel is our mechanic. He does an exceptional job explains details friendly I would recommend Lube Mobile to others because of Daniel. If you own a BMW or Holden, or whatever you are currently driving, you can rely on a completely mobile mechanic available at the time that suits you best to carry out industry leading repairs and service work to your vehicle wherever you need us to be. Happy clients have already given us over 3 positive reviews right across Australia. Find out how convenient repairs and service work can be with one of the 28 mobile mechanic available in St George where and when you need them with Lubemobile. As fully prepared and experienced motor specialists, our mechanics arrive at your preferred location with what they need to service your vehicle, no matter what the make and model. In your area our mechanics have commonly serviced Holden, Toyota and Ford. Servicing all vehicle types on site, our most recent services in your area have included Chrysler, Toyota and Seat. Any and all parts required for your vehicle are sourced quickly, our mechanics choosing only the best part available at the highest quality like exhaust, engine management system and ball joint replacement.